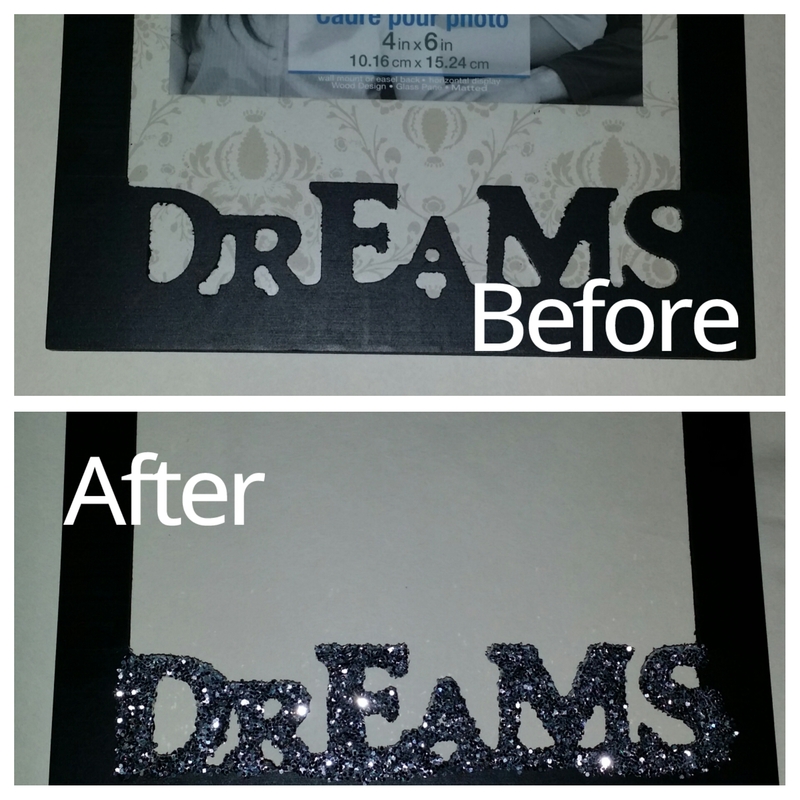 Today, I want to share a really easy DIY Home Decor Project. Cover the area you would like glittered with Mod Podge using your sponge brush. Shake on the glitter to the area with the Mod Podge. Let it set for a minute. Shake of excess glitter. Seal the glitter in with more Mod Podge on top of the glitter. Allow the frame to dry for about 30 minutes give or take. Ta da……..you’re all done. 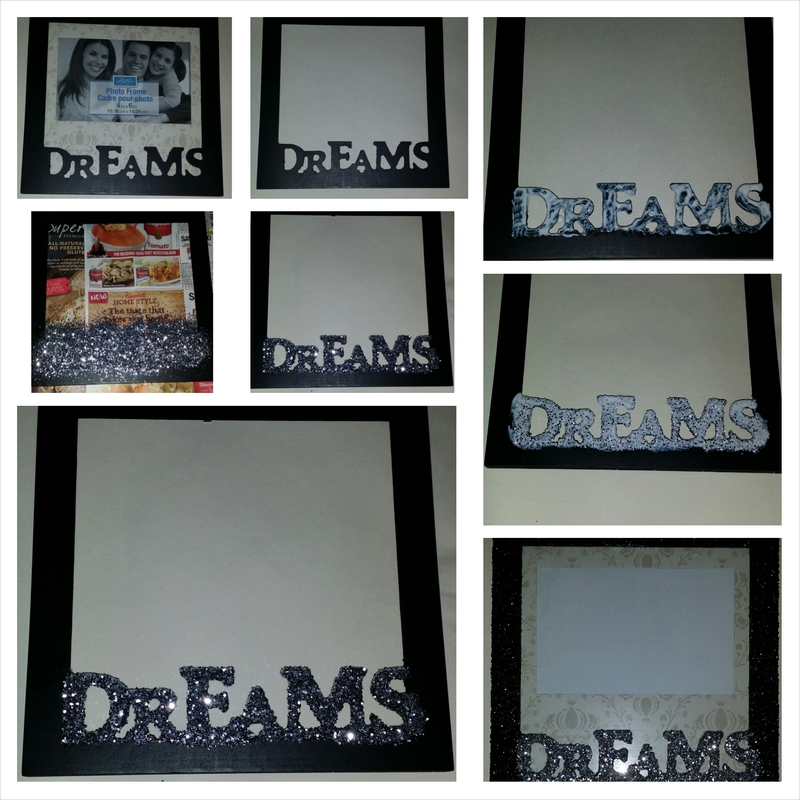 Your frame just went from boring to glam in no time at all. Yesterday I held a giveaway here. Today it is time to announce the “WINNER”. I will be in contact with the winner or the winner can contact me here. Thank you to all who entered or liked the post. I truly appreciate it. I will have more “GIVEAWAY’S” on my blog in the near future. Which I look forward to!!! Thank you all again for making blogging such an enjoyable experience. Happy Thursday to you all. 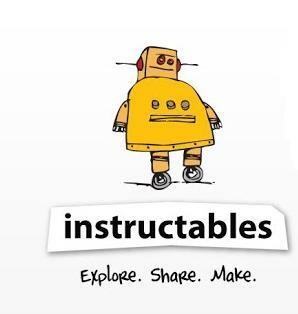 The best part is you can enter your DIY’S into the various contest for a chance of winning some great prizes. They offer a free standard membership or if you desire they have Pro memberships at very reasonable cost. 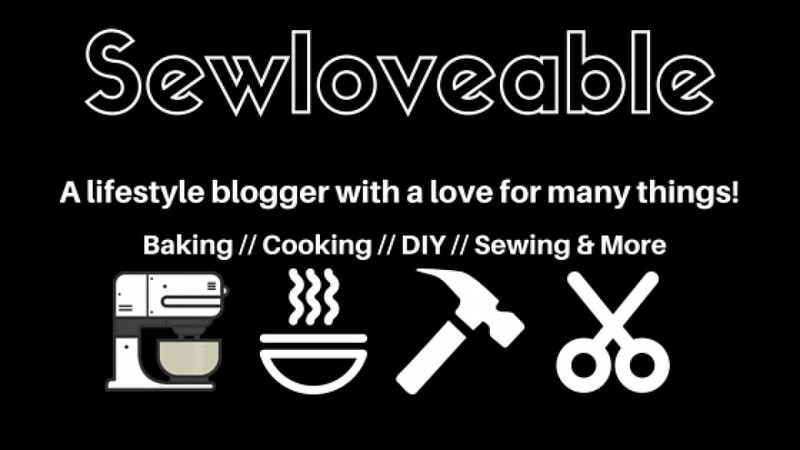 To check out the site, contest, prizes and all the inspirational DIY’S people share click here. One “Fantastic Creator” has a chance of winning a “FREE” 3- month Pro Membership. I entered one of my recipes which received an Editor’s Choice Favorite. As a result, I received a 3-month free Pro membership. I decided that I want to give the membership to one of my lovely reader’s. To win all you need to do is comment below sharing your favorite creative niche. 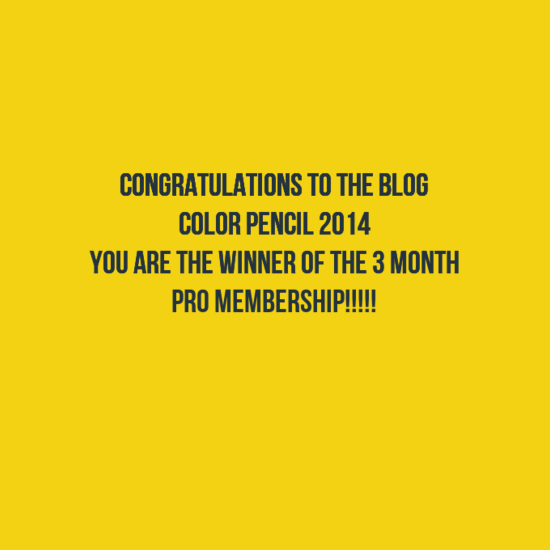 The winner will be chosen and announced on Friday May 15, 2015 @ 10 a.m est here on my blog. If the winner does not respond by Monday the 18th another winner will be chosen. Once the winner is announced simply go to my contact page here and send me an e-mail to claim your prize. Best wishes to all who enter and please share this post across social media and your blog’s so other’s have a chance of winning. Entries for this giveaway close at 11:59 p.m. on Thursday May 14, 2015. Thank you in advance to all who enter. Happy Creating and thank you so much for stopping by, it’s truly appreciated. 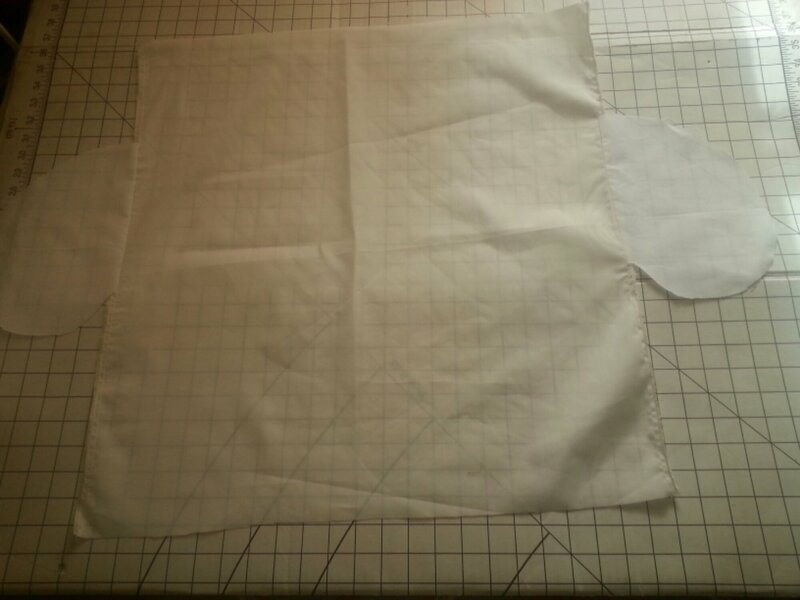 I was online looking for a simple tutorial to explain how to make a skirt that is lined and has side seam pockets. I couldn’t find what I was looking for, so……..I decided to wing it and see how it would turn out. It was actually very simple and here is how it turned out……. 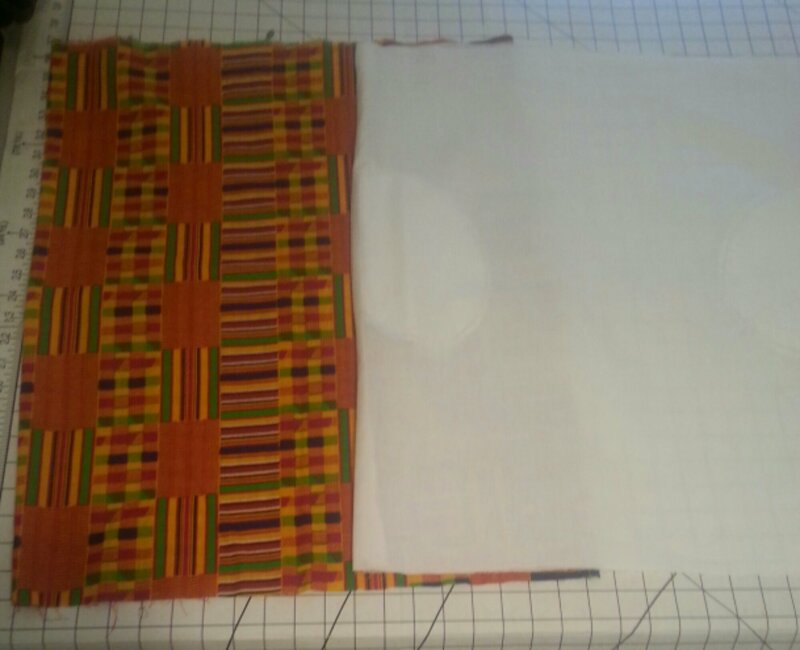 For this project/ tutorial I worked with 45″ wide cotton for the main fabric as well as the lining. This works perfect if you wear anywhere from X SMALL- LARGE. 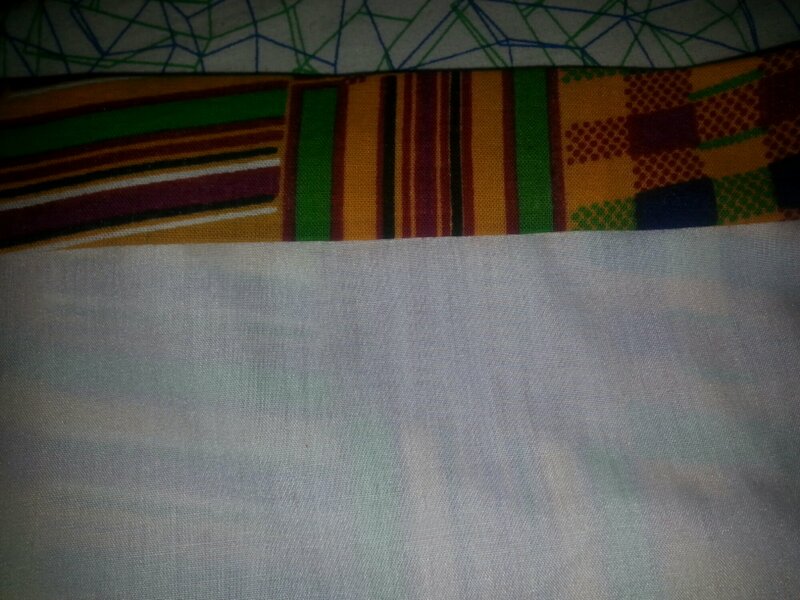 For larger sizes you will need a 1 1/2 yards of fabric. 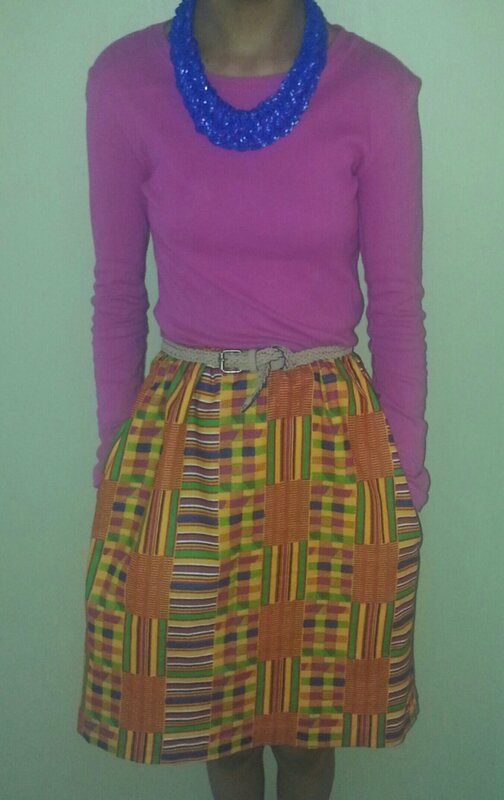 To make this skirt you will essentially make two of the same skirts and connect them at the waist. 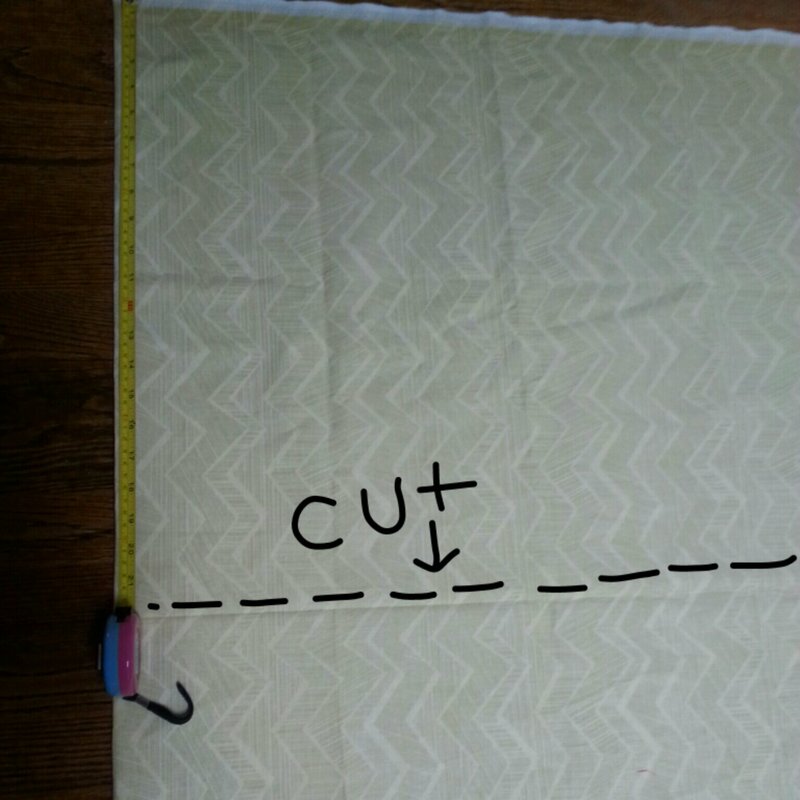 Time to cut….with your fabric folded in half (pretty side of fabric touching) (wrong side facing you)…measure down to your desired length and cut. 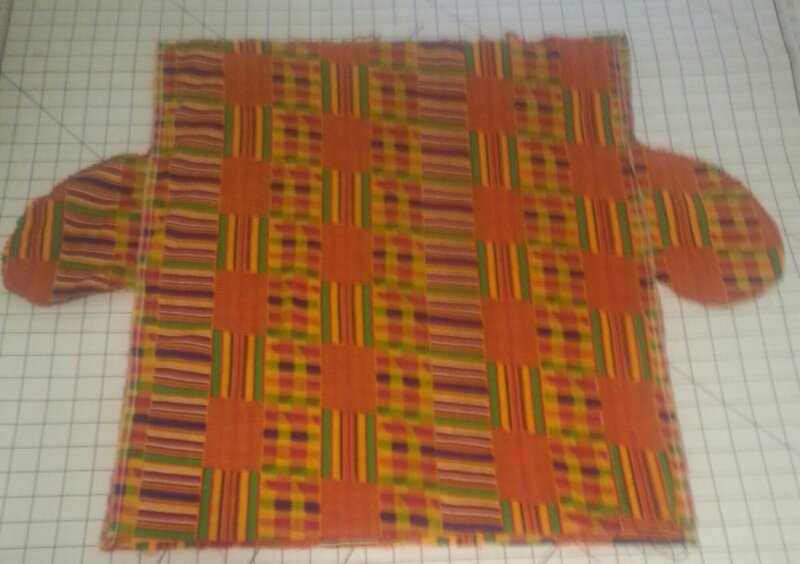 Put your left over fabric a side…we will use this to make the pockets in a few. 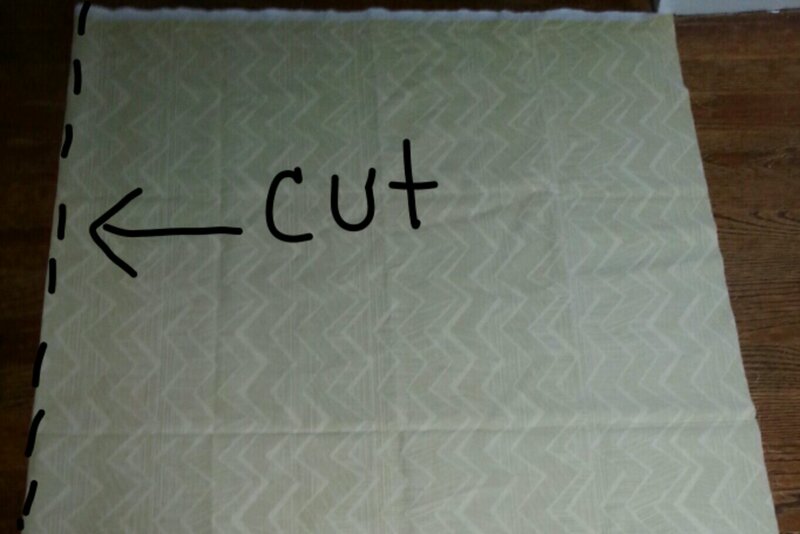 Now take the fabric we just cut and cut in down the center of the fold…..you will now have 2 pieces a front and a back. Now repeat those steps to your lining fabric. Now it’s time to cut out your pocket pieces. You can simply draft a pocket pattern similar to the one below….. Or to make things easier for anyone making this skirt…….I found a free pocket pattern thanks to handmadebymrsh.blogspot.com Click Here to download the pocket pattern piece. 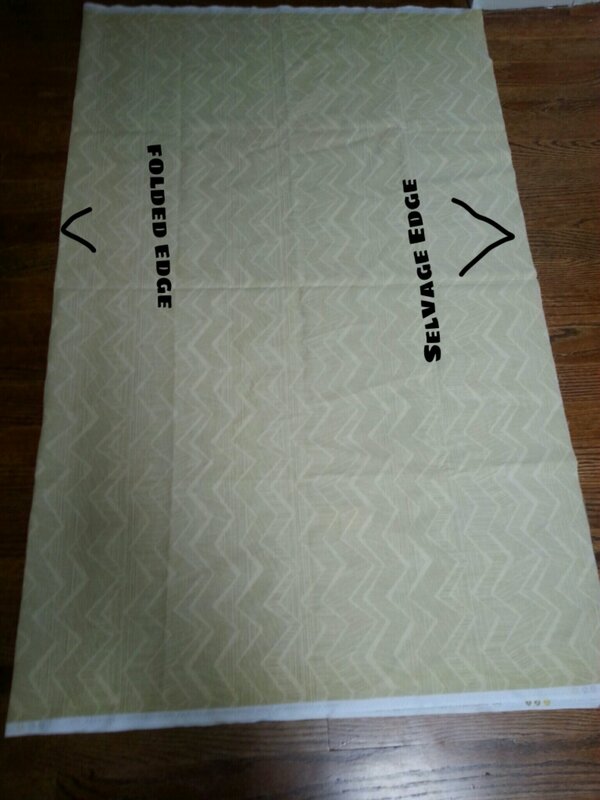 With your fabric folded (right sides touching) wrong side facing you. 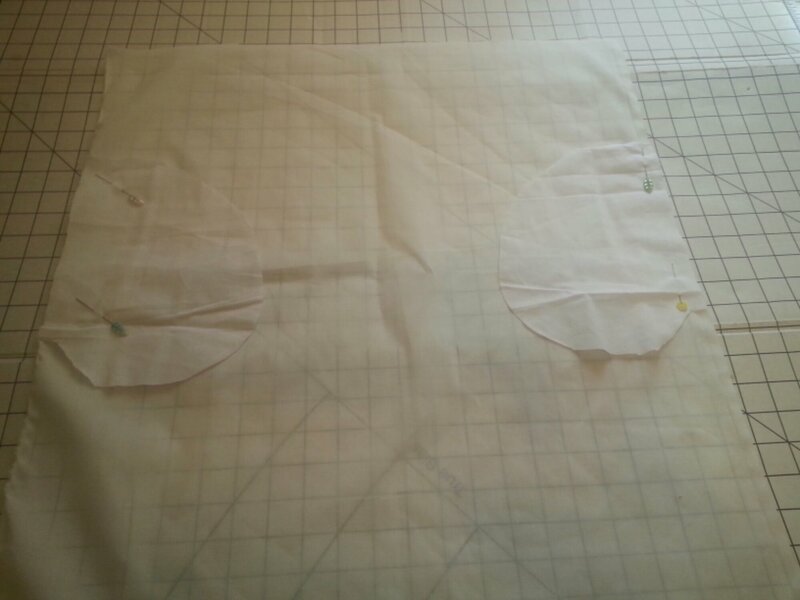 Lay the pattern on the fabric and cut out the pockets and then repeat. 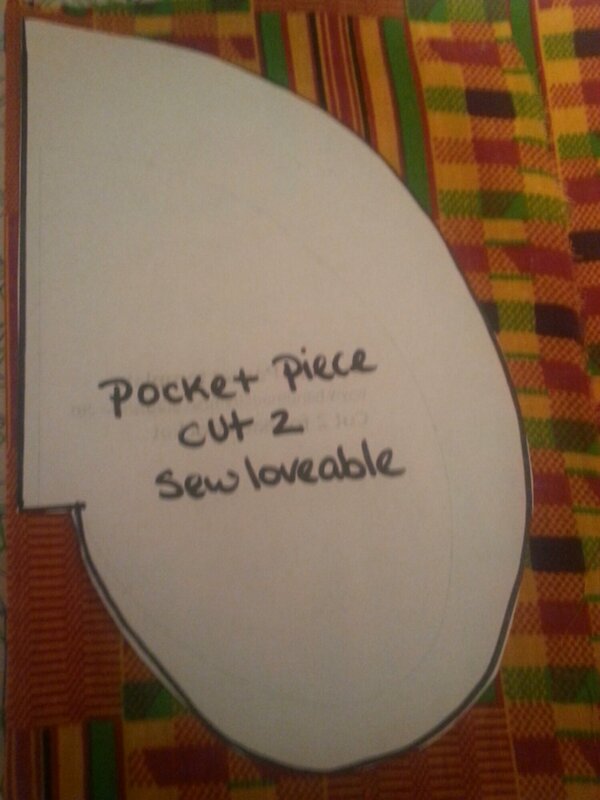 You will have a total of 4 pocket pieces. 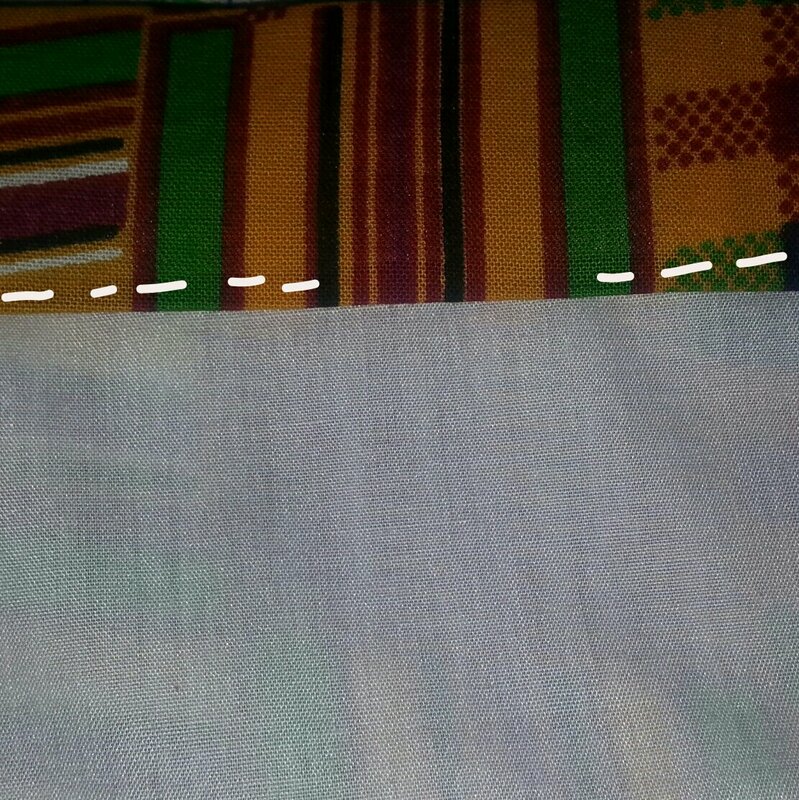 Now repeatedly those steps to your lining fabric. 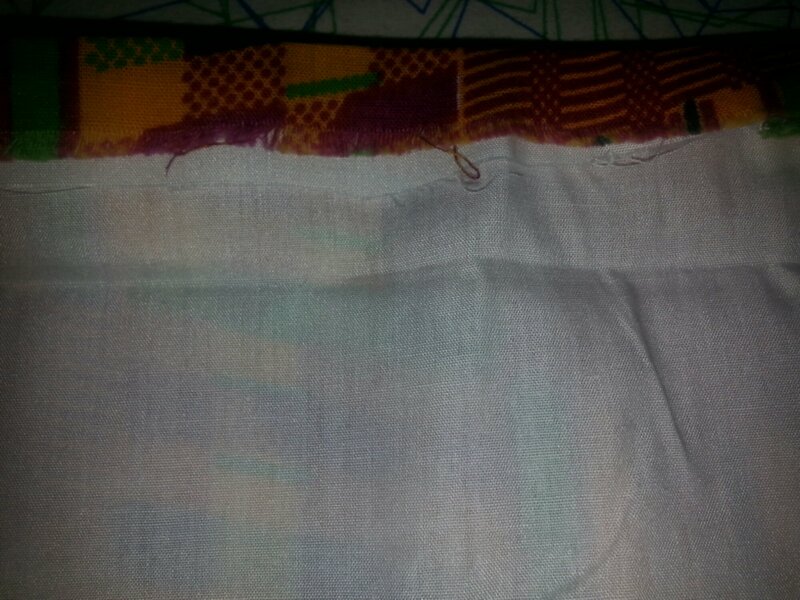 You will end up with a total of 8 pocket pieces 4 for your main fabric and 4 for your lining fabric. 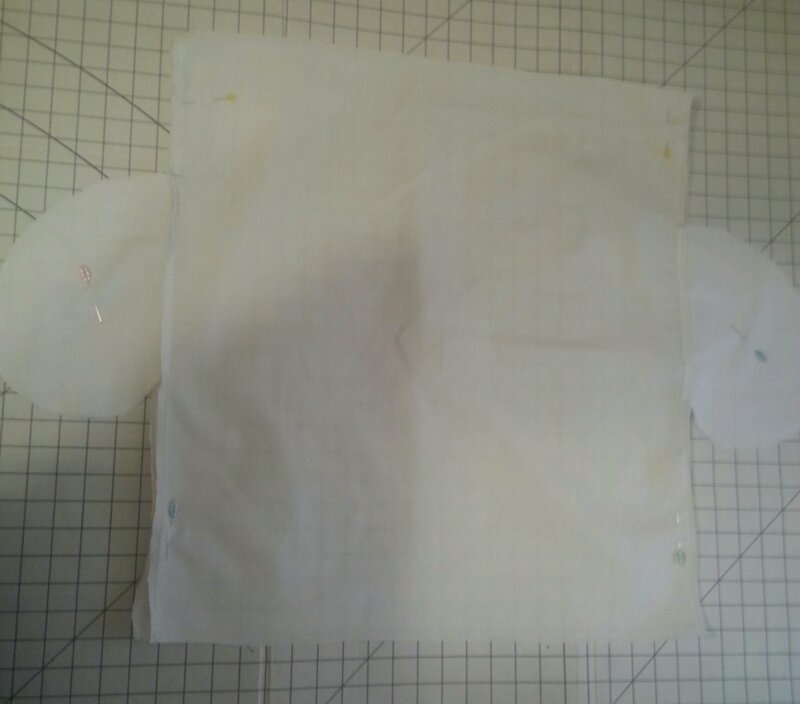 Take your front and back pieces, measure down 6″ from the top and pin the pocket pieces on like so. 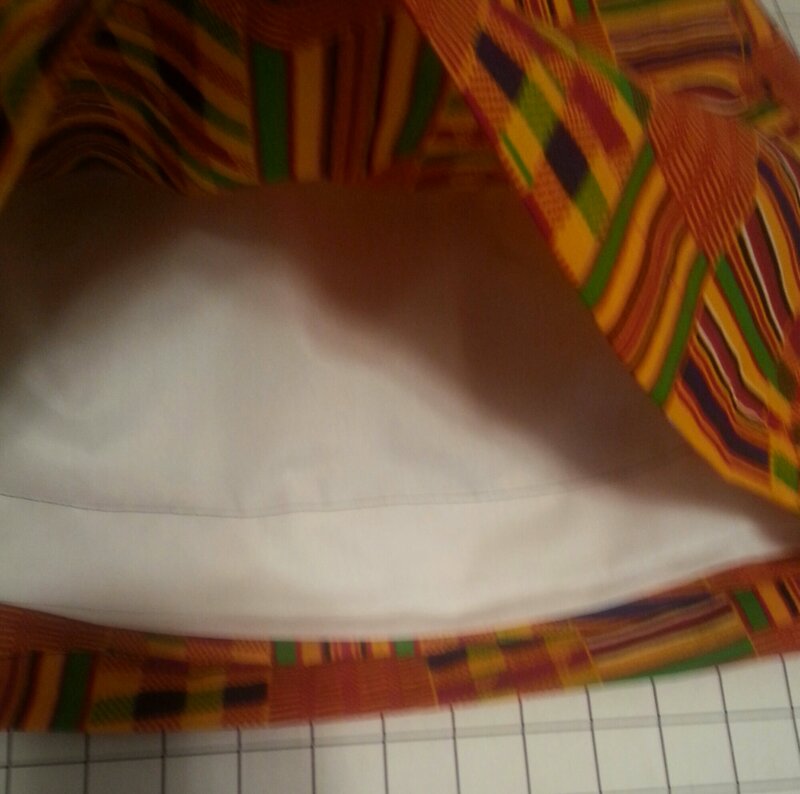 With 1/2″ seam allowance sew the pockets on. 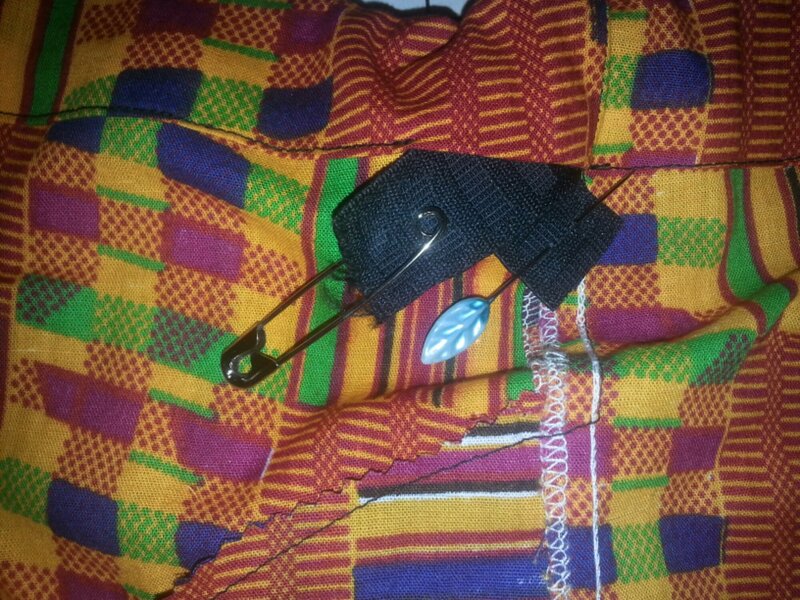 Now pin you front and back pieces together with the right sides touching and wrong sides facing you. 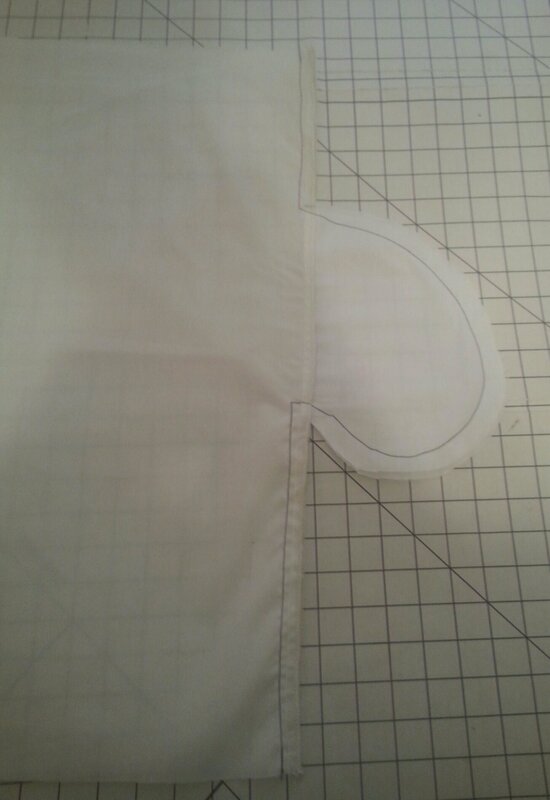 Now finish your seams as desired. Pinking shears, serger or zigzag stitch. 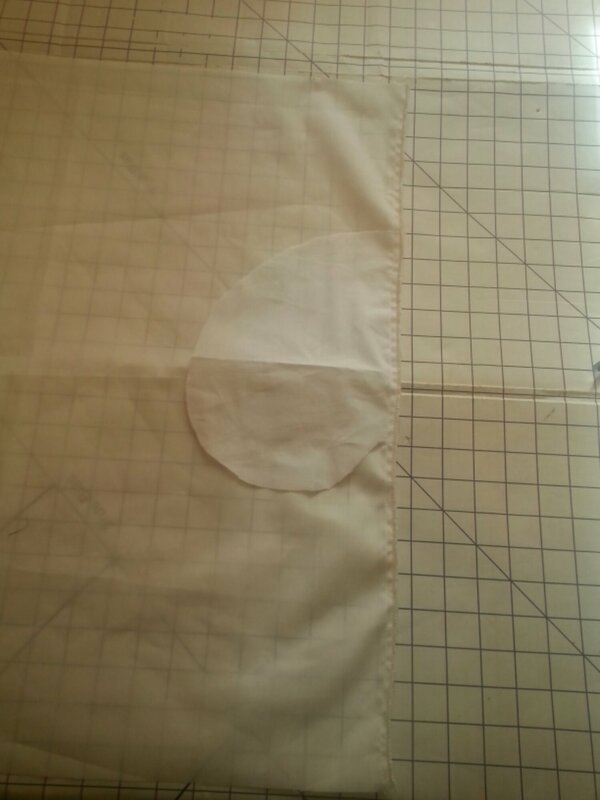 Turn fabric right side out and place lining fabric inside the main fabric. 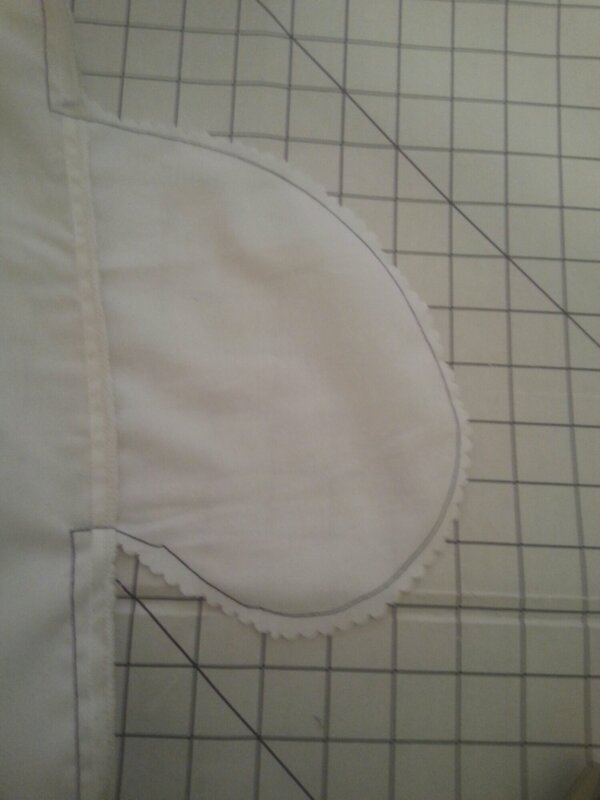 Aligning side seams. 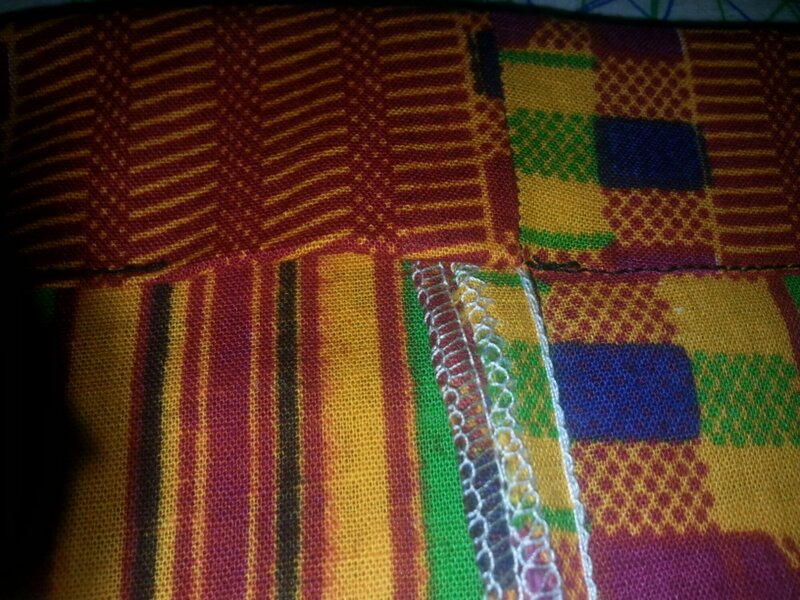 Push designed fabric pocket into lining fabric. It will end up like this. 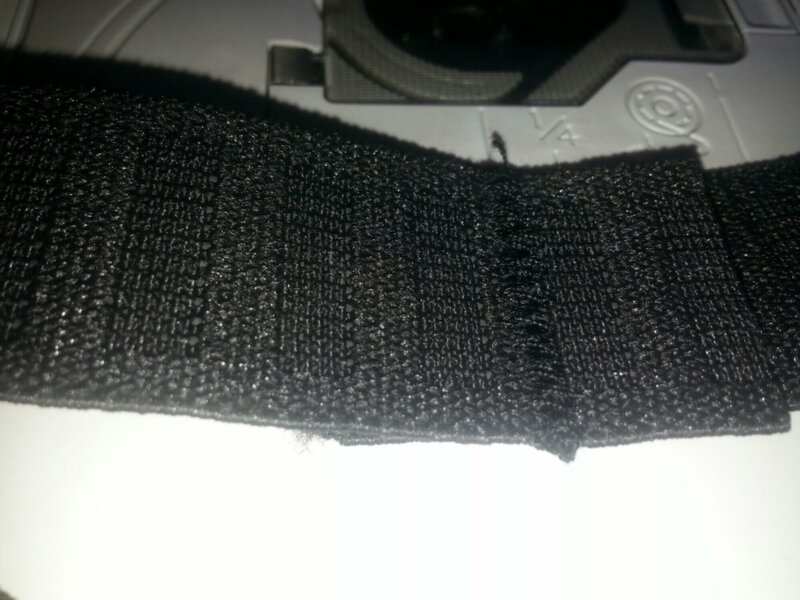 Now it’s time to sew around the waistband, leaving a 2″ opening to feed your elastic into. Cut your elastic which is your waist measurement minus 3.5″. 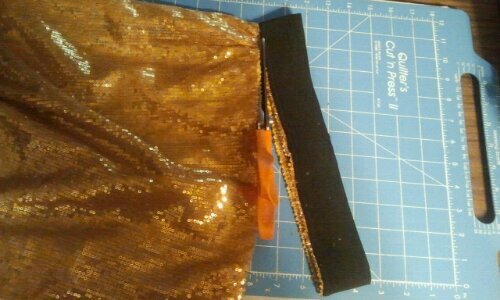 Put a safety pin through one end of the elastic and feed in through the opening an all yhe way around the waistband casing. 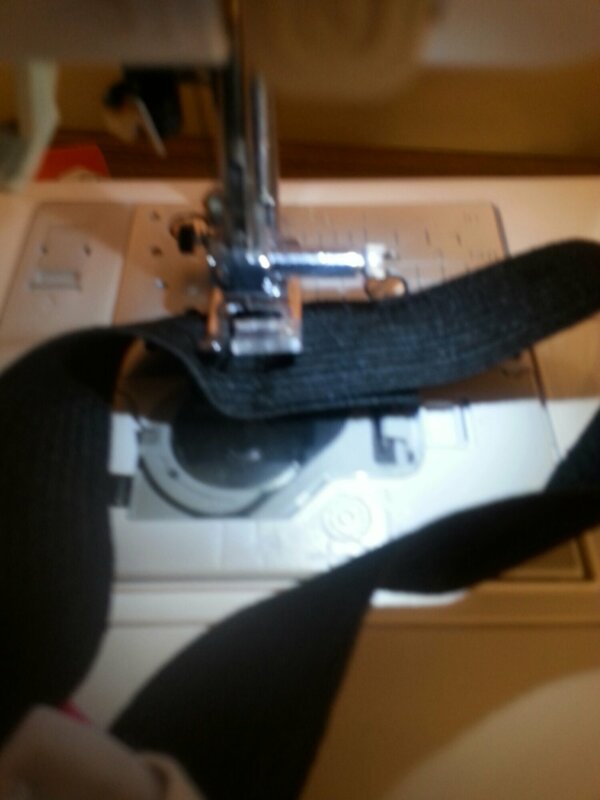 Pull both end of the elastic, so that they over lap and zigzag back and forth to secure. 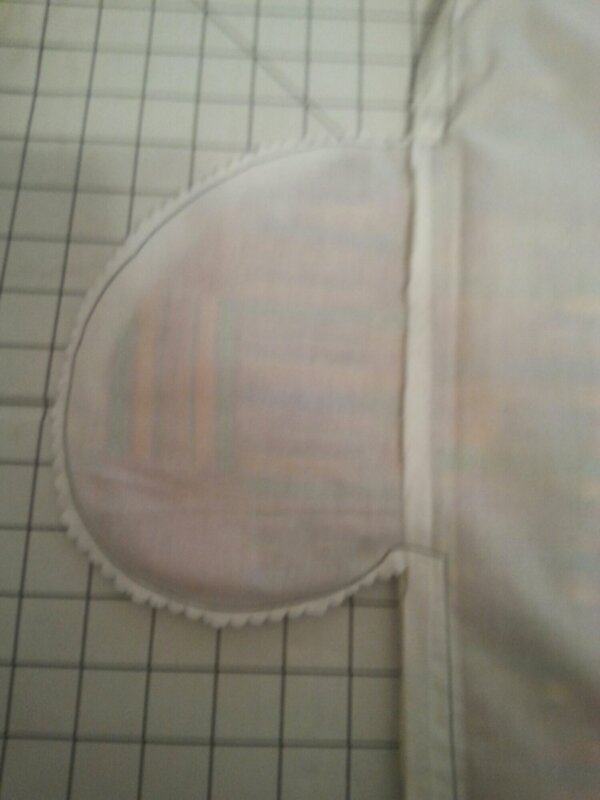 Tug on skirt waist so that the elastic is all tucked inside and sew the 2″ opening closed. Final steps hem the lining. Fold over 1″ and press. 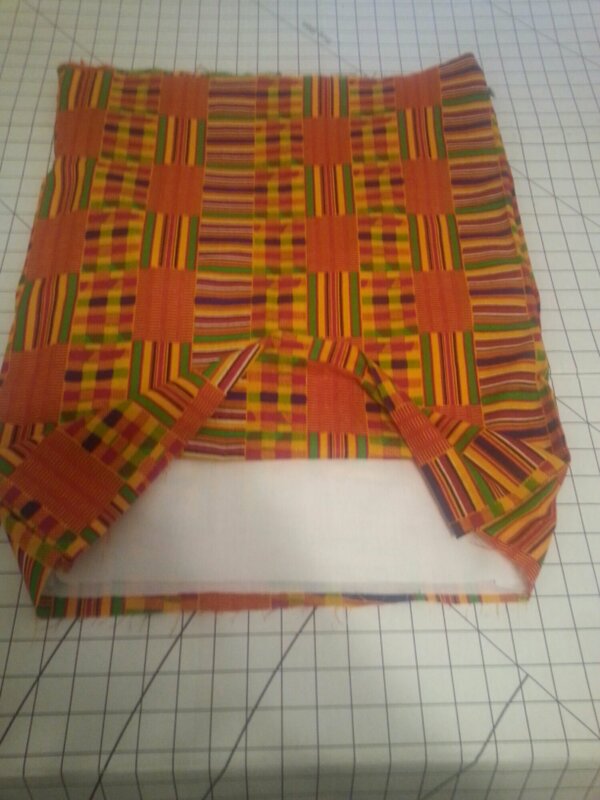 Fold it over again 1″ press and sew. Now repeat those steps to your main fabric. Tada you’re all done. So this week I have been getting through some sewing projects. It feels good to check another one off the list. 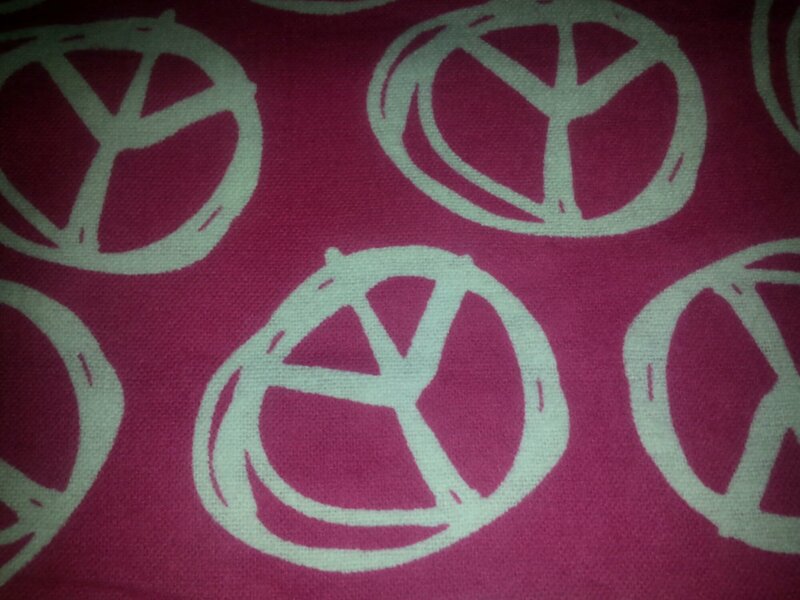 My 14 year old pick this fabric up over the summer for just $1.95. It is a flannel. 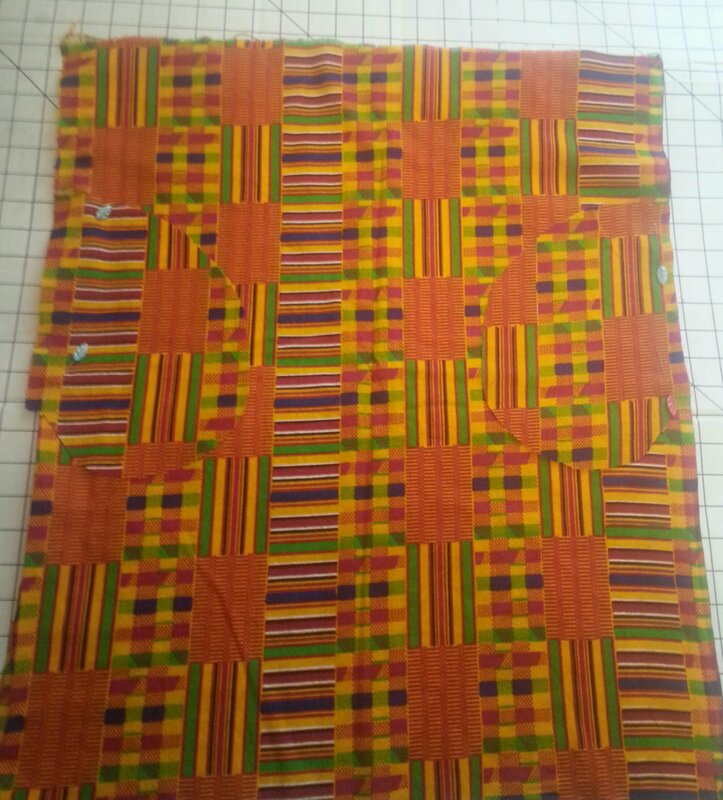 A project like this is great with a woven cotton or flannel. Which requires about 2- 2 1/2 yards of fabric. I used a pair of her existing pants to make these. 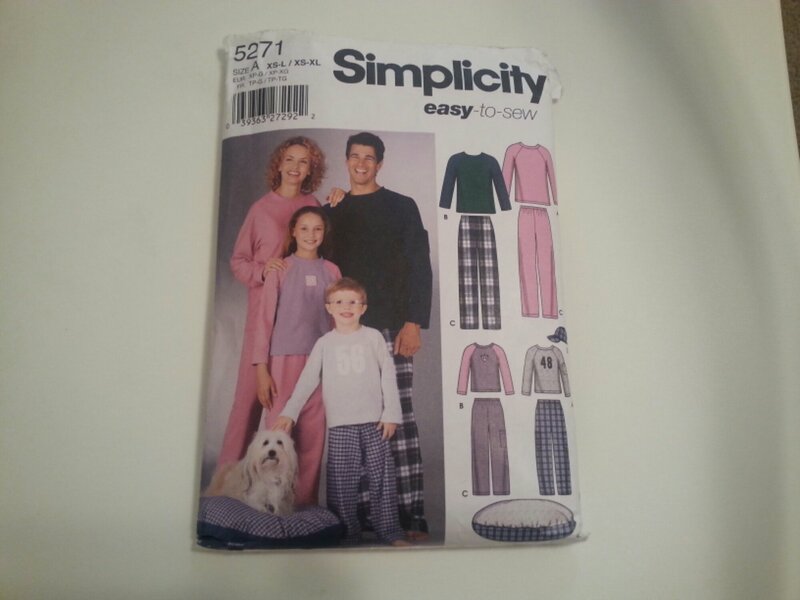 You can also use a store bought pattern such as this, which is very easy to follow. This is a great beginner project. 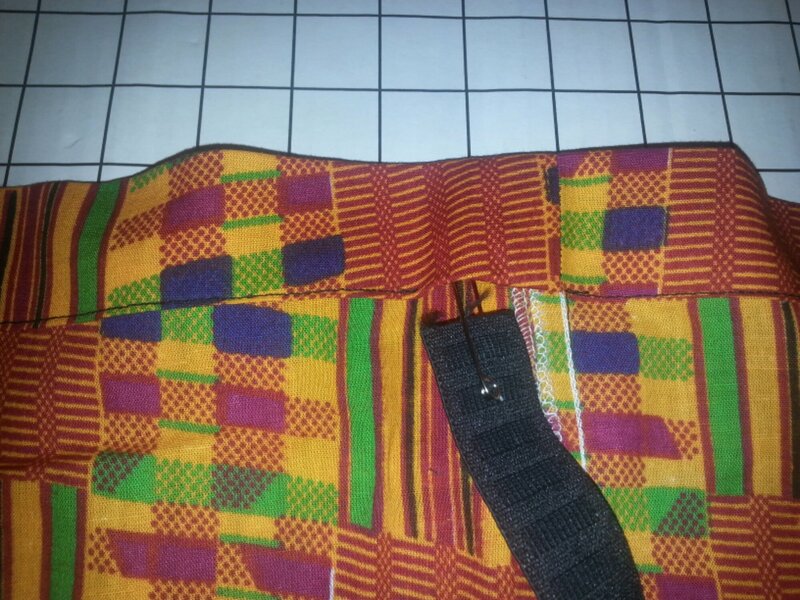 To make these from an existing pair of pants click here. To make these from a store bought pattern click here. Shopping is one of my favorite things to do. Especially when I know I am getting a good deal. So this week was all about Fabric, Fabric, Fabric. 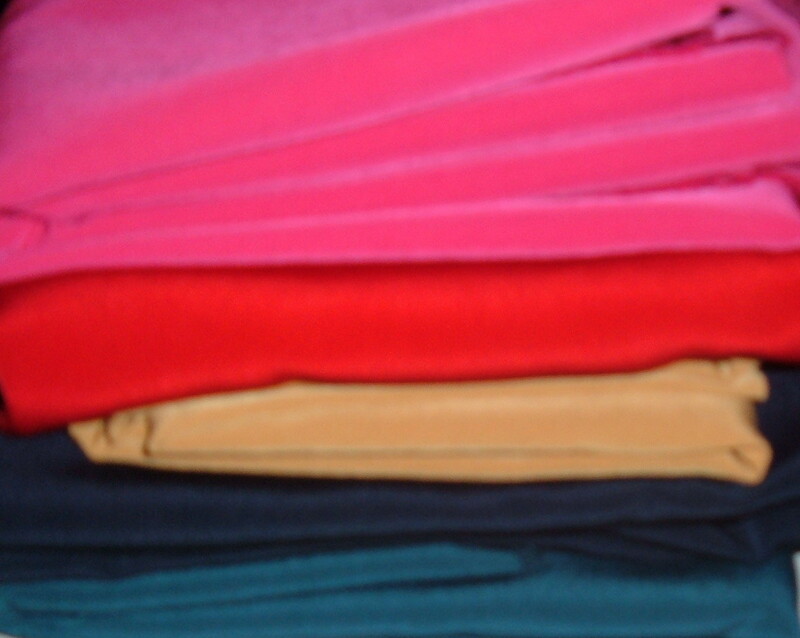 Knits….jersey, double and my absolute favorite ponte roma. 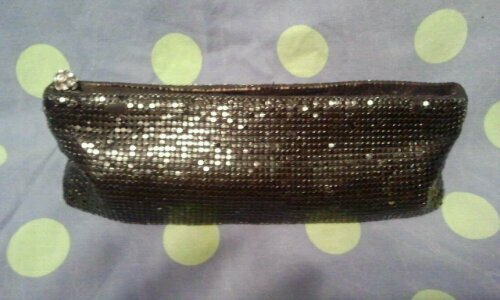 Finally, finally…….I made a Sequin Clutch/ Make Up Bag. This has been on my long list of projects and now I can scratch it off the list of many. So for quite some time I have wanted a sequin clutch and make up bag. 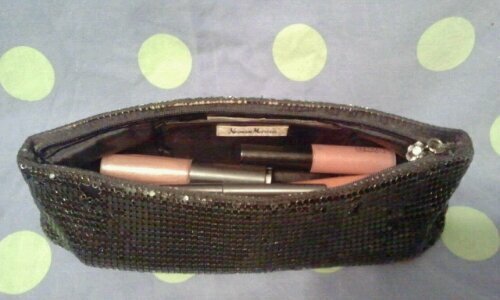 I received a black sequin make-up bag as a gift from Neman Marcus a few years ago. I love it soooo but some of the sequins are starting to come off. So this was more of an incentive to overcome my fears of working with sequin fabric. 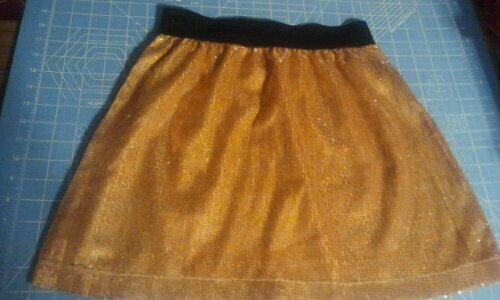 So last week while cleaning out my daughters closets I came across this sequin skirt. Which was now to short for either one of my young ladies, so I tossed it in the donate pile along with many other items. 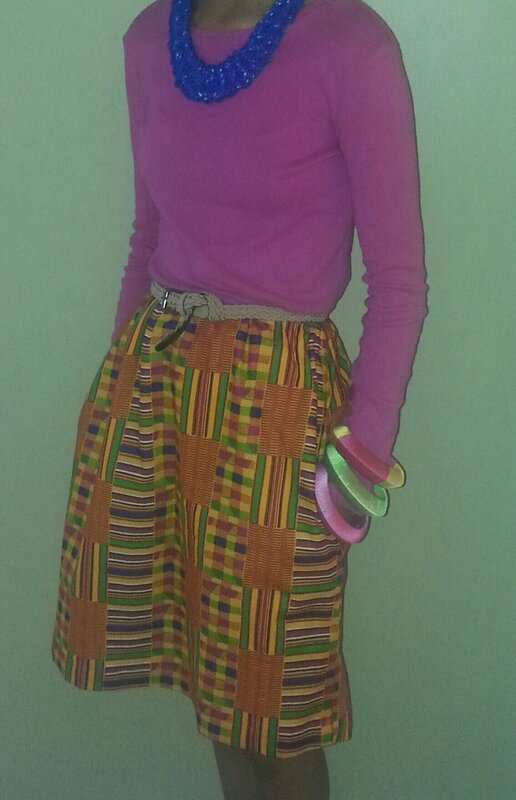 Once I was done cleaning and sorting and bagging everything up…….I thought why not re-fashion the skirt. 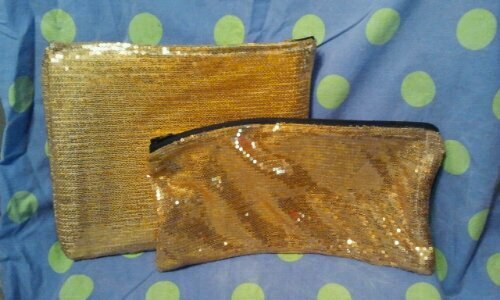 Which I only paid $2.00 for from Burlington Coat Factory and turn it into a clutch/ make-up bag. So I went straight to pinterest to find a tutorial an I found one by Sweet-Verbena that was exactly what I had in mind. Very easy to follow and didn’t take long at all. To make your own version of the sequin clutch click here.